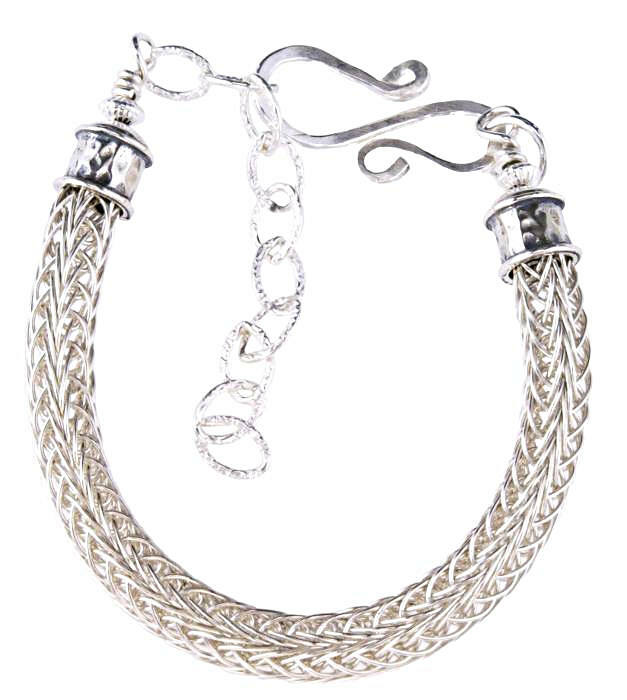 A particularly beautiful piece, this woven silver rope bracelet is of double-weave Argentium sterling silver, knit entirely from a single, long strand of 24-gauge silver wire, presenting an intricate panoply of impossibly tight loops and whorls to delight the eye. 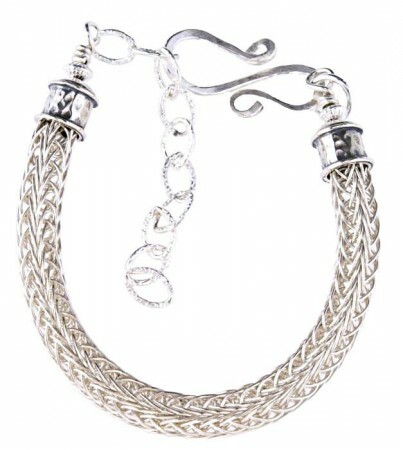 Such exquisitely woven silver feels satiny smooth upon the skin, a tactile as well as a visual pleasure. Cast Israeli silver end caps are a lovely accent, and the hook clasp and Sterling silver chain let you adjust the length from 7″ to 9″ as you like.